Stocks held onto most of their gains late Wednesday after the Federal Reserve said the U.S. economy continued to expand at a moderate pace and European officials reportedly discussed rescuing Spain's teetering banks. The Nasdaq, S&P 500 and the Dow Jones industrial average were all up 1.8%. Volume was higher compared with the same time Tuesday. The U.S. economy "expanded at a moderate pace" from early April to late May, the Federal Reserve said in its beige book, a snapshot of conditions nationwide. The assessment, which was little changed from the previous beige book, suggested that the world's biggest economy remained resilient despite Europe's growing economic and financial troubles. 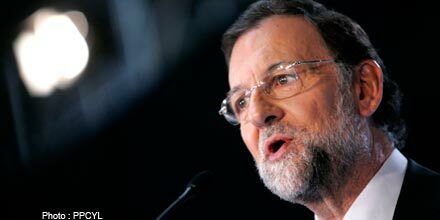 Earlier, German and EU officials discussed ways to resolve Spain's banking crisis, according to unidentified European Union officials quoted by Reuters. Financial troubles in Europe's fourth-largest economy threaten to further destabilize the 17-member eurozone. Almost all IBD 50 stocks were higher in late afternoon trading amid hopes that Germany and the EU will step in to rescue the currency block. Coinstar (CSTR), the operator of Redbox DVD rental kiosks, gapped up 5% in heavy volume after announcing a partnership with Starbucks (SBUX) to sell coffee in "Rubi" kiosks at grocery chains, drugstores and elsewhere starting this summer. 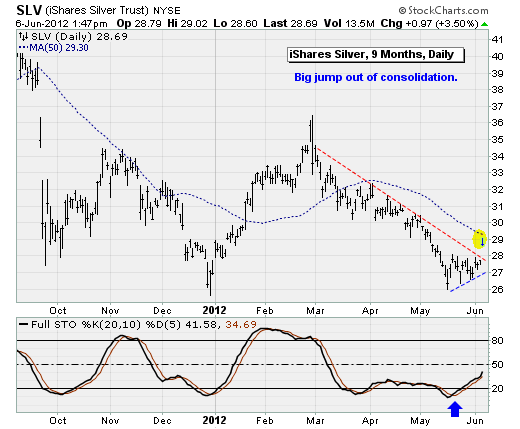 The stock briefly topped its 50-day moving average, where it has met resistance. Starbucks was up more than 2% as it tries to form a new base. 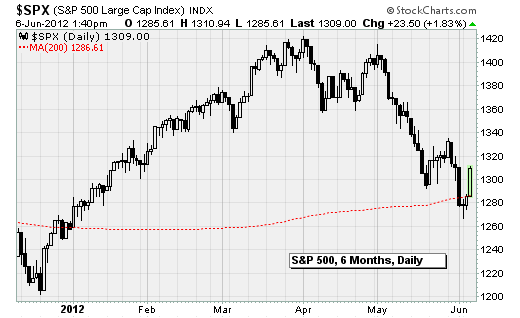 It has also met resistance at its 50-day line. Ulta Beauty (ULTA) soared 9% in big volume after a Robert W. Baird analyst raised the stock's price target to 110 from 105. The stock appeared to be breaking out of a base, but the handle is in the lower half of the pattern, and the base itself has formed mainly below the 50-day moving average. Ulta reported late Tuesday its Q1 EPS climbed 46% to 54 cents, a penny ahead of views. Sales rose 23% to a better-than-expected $474.1 million and after-tax margins climbed to a record 7.3%. Management raised second-quarter EPS guidance to 49-51 cents, above forecasts. It guided sales to $466 million to $473 million vs. estimates for $467.4 million. Meanwhile, Israeli chip designer Mellanox (MLNX) jumped 7% in double its average daily volume, popping above resistance at 60 as it forms a base. Facebook (FB), whose troubled IPO sparked investor anger, climbed 1% after Nasdaq said it would set aside $40 million to compensate clients affected by glitches during the stock's March 18 debut. The payments will be made over the next six months pending approval by regulators. Discount retailer Dollar General (DG) climbed 4% in huge trade, putting it just below a 48.86 buy point in a square-box base. The company said it will sell 30 million common shares in a secondary offering at 46.75. Dollar General won't profit from the sale because the shares are being sold by existing shareholders. 16.18: The FTSE 100 has risen to 5,375.96 - a 115.77 point gain, or 2.20% rise - as the European Union (EU) edges closer towards a banking union and as the likelihood of quantitative easing grows stronger. The European Commission has put forward sweeping powers that would allow regulators to intervene to prevent widespread collapses. Although the plans, if approved, would not come into force until 2015, they have given investors confidence that panic can be contained in the event of a bailout. Stocks and commodities have also gained strength on stimulus hopes. Earlier today, investment bank Morgan Stanley said it expected the Bank of England to restart its QE programme this week with a £50 billion cash injection, and leaders in Germany are said to be searching for an urgent solution that could help Spain accept aid without the associated stigma. Mario Draghi, the European Central Bank (ECB) president, quashed some of this optimism, however, by ruling out another long-term refinancing operation (LTRO). Brent crude still embarked on a rally above $100 a barrel, while gold rose 1%. 13.52: The US is set to open higher as investors pin their hopes on a speech by Mario Draghi offering some form of solution to the eurozone's woes. As the FTSE 100 held firm at 5,311.50, up 51.31 points or 0.98%, Dow Jones futures pointed to a gain of 26 points at the sounding of Wall Street's opening bell. The European Central Bank (ECB) earlier today said it would hold rates constant at 1%. and president Draghi will follow up on this announcement when he appears for his routine press conference later today. It is hoped Draghi will signal that some sort of rescue plan is in the pipeline, following reports that Germany has been working with European Union officials to draft a solution to help Spain's banks. 08.30: The FTSE 100 has inched higher on its first day's trade following the Bank Holiday weekend, with the index rising to 5,307.96, up 47.77 points or 0.91%. Although events in the eurozone are once again set to dominate the agenda, European shares gained during early morning trade. The single currency also pulled off its two-year low to rise 0.4% to $1.2490. 07.55: European markets, including the UK, are tipped to rise when trading begins in a few minutes amid hopes that Spain's appeal for aid for its banks will focus the minds of authorities in Europe. Attention is fixed on what response the European Central Bank will make when it meets today to the warning yesterday from Spain's prime minister that it faces a situation of 'extreme difficulty'. World stocks soared 2 percent and the euro rallied on Wednesday on talk major central banks would act to bolster a slowing global economy. Analysts said markets were reacting to hints of more monetary accommodation from both the European Central Bank – though ECB President Mario Draghi dashed hopes of near term action – and the U.S. Federal Reserve. The European Central Bank resisted pressure to provide immediate support for the euro zone’s ailing economy by holding interest rates steady at 1 percent. But in a later statement Draghi noted “increased downside risks to the economic outlook” and saw annual inflation falling below 2 percent in early 2013. The comments supported hopes for more accommodation down the road. 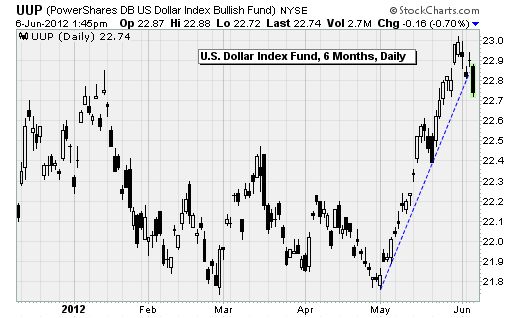 A similar tone was struck by Atlanta Fed President Dennis Lockhart who said the U.S. central bank may need to consider additional monetary easing if a wobbly U.S. economy falters or Europe’s troubles generate a broader financial shock. Markets were also supported by signs of urgent moves by Germany and the European Union to find ways to rescue Spain’s troubled banks. Spain, the euro zone’s fourth-biggest economy, said on Tuesday it was effectively losing access to credit markets due to prohibitive borrowing costs. The Dow Jones industrial average was up 228.19 points, or 1.88 percent, at 12,356.14. The Standard & Poor’s 500 Index was up 24.98 points, or 1.94 percent, at 1,310.48. The Nasdaq Composite Index was up 61.65 points, or 2.22 percent, at 2,839.76. Canada’s S&P/TSX composite index was up 130.36 points, or 1.13%, at 11,638.07. The MSCI World Equity Index jumped 2.1 percent for its biggest daily gain since December. The pan-European FTSEurofirst 300 index rose 2.2 percent. “Europe closed and there was a squeeze,” said said Boris Schlossberg, director of FX Research at GFT in Jersey City, New Jersey. Prices of German Bund futures also fell. Despite the rally in riskier assets, Germany was able to sell 3.98 billion euros of five-year government bonds at a record low yield of 0.41 percent as investors remained nervous about Spain’s banks and the possibility of Greece leaving the euro.